Ant-Man Movie Review - Where Does It Rank in the MCU? You are here: Home / Featured / Ant-Man Movie Review – Where Does it Rank in the MCU? 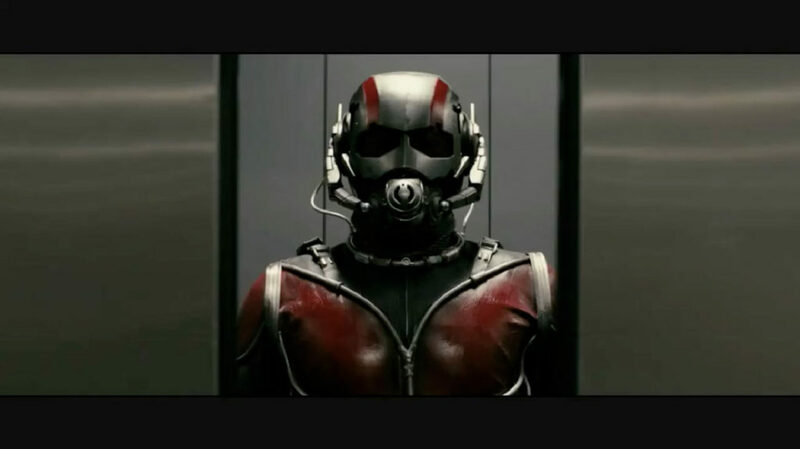 Ant-Man Movie Review – Where Does it Rank in the MCU? I like art that takes chances. Unique, one-of-a-kind experiences. At Pitchfork Music Festival this weekend, plenty of bands that I liked delivered quality sets of music. Kurt Vile, and the New Pornographers played songs I enjoy, and they played them cleanly. It was nice. Comforting. But nothing was as life-affirming as Future Islands off-the-rails dad dance party. If you’ve never seen Future Islands live, you’re missing out. Words and even video don’t do them justice. Here’s the important part: On stage, Future Islands are unlike just about anything I have ever seen. The visceral movement and lunacy of their front man is beyond thrilling. They take enormous chances that could look ridiculous and embrace them so whole-heartedly that you can’t help but smile, laugh, and dance like no one’s watching. 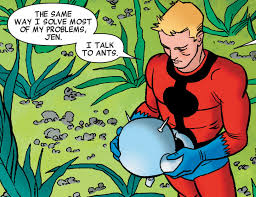 For all intents and purposes, Ant-Man’s uniqueness is entirely the opposite, and yet, this is Marvel willing to make a movie about a guy who get small and talks to ants. On top of that, the film catches the one important element from that mix to save it: Heart. Unsurprising, uninventive, underwhelming… you could throw any of these at Ant-Man, and I wouldn’t bat a lash. Nonetheless, Ant-Man embraces two daddy-daughter stories with heart firmly on sleeve, and filtered through the magnifying glass of Marvel “Tales to Astonish” it makes for a perfectly pleasant 2 hours. Note: Spoilers for Ant-Man follow! Discussion as if you’ve seen the movie. Ant-Man is for the most part, very safe. Much like Avengers 2: Age of Ultron, if you’re invested in the Marvel Cinematic Universe, you’ll find this enjoyable. If you think comic book movies are an ugly, unending blight on the state of American Cinema, well, in the words of the Beastie Boys: Why are you here? In a lot of ways, Ant-Man fulfills the sports-favorite adage “We just wanted to execute. 100%.” Marvel’s made a lot of noise in the press about Ant-Man delivering their heist genre movie, and while that’s technically true, this is about as templated a Marvel Studios comic book origin we’ve seen since Iron Man kicked things off in 2008. Much like Avengers 2, this is a Marvel Universe comic book movie. Full stop. There are some fun heist elements, sure, but end of the day this is a movie about Dr. Henry Pym concealing Pym Particles from SHIELD and the terrorist organizations of the world. If that’s not comics, I don’t know what is. To everyone’s credit, Hank Pym’s introduction to the Marvel Cinematic Universe works amazingly well. While there was plenty of consternation about Pym’s absence from the Avengers (this isn’t helping his inferiority complex y’all! ), I love the backstory he’s been given that allows for Scott Lang as the first Ant-Man. Pym is still a genius scientist, who invented Pym Particles and played the role of Ant-Man in covert SHIELD missions during the Cold War. Michael Douglas plays Pym as the brash, frustrating, brilliant, ultimately heroic character he can be. Much like Iron Man’s Armor Wars, he lives in perpetual fear of his invention getting into to the wrong hands and spiraling the world into chaos. As his former protégé and all-around villain Darren Cross gets closer to Pym’s solution, he realizes it’s time for a new Ant-Man. Enter ex-con Scott Lang. Scott Lang feels a lot like a third-party even in his own movie. While, yes, Paul Rudd is the Ant-Man, this movie is at its best when it feels very much like the Hank and Hope Pym story. Rudd’s Scott Lang is the awkwardly charming third-party, literally standing in the hallway watching father and daughter hash out their most emotional baggage (and of course chiming in adorably at the precisely wrong moment). Ant-Man gets off to a shaky start, particularly with Lang trying to hold down a job at Baskin-Robbins. While the message is clear (it’s hard out here for an ex-con), the attempted humor of the scene misses badly, and I’ll be the first to admit, I started having Green Lantern panic attacks at about the fifteen minute mark. Then we meet the impossibly cute Cassie Lang, and see Lang’s “World’s Worst Teddy Bear” gift, and the film never looks back. Ant-Man rarely soars, but the increasing scale of heists are appropriately entertaining, and even when it’s signaling the end of the world via Pym Particles (a take I have never seen anyone even really consider in the comics) the film keeps getting better and avoids taking itself too seriously. Paul Rudd is a good Scott Lang. He’s not as effortlessly funny as Chris Pratt’s Peter Quill (imagine predicting that 5 years ago), but Rudd’s smooth, not-quite-sarcastic charm is spot-on for Lang, particularly as he’s written by Nick Spencer currently. More notably, Scott Lang’s former prison cellmate buddy completely saves the movie. Every scene is a burst of fresh air, and Michael Pena steals 80% of the film’s laughs. Not only that, but he drives the most innovative visual flourishes, in enthralling play-by-play voiceover cutaways that I would have guessed came from Edgar Wright’s initial vision, but are (reportedly) actual director Peyton Reed’s best move. Speaking of visuals, the kinetic charge of the Ant-Suit’s size manipulation is more physical than I’ve imagined, more martial arts with a side of shrinking than pure vanishing act. This leads to some occasionally arresting action – most notably Lang’s showdown with erstwhile Avenger, Falcon – but also raises plenty of questions. Why wouldn’t Yellow Jacket just “size up” when Lang’s throwing toy trains at him? So What’s It All Mean? End of the day, Ant-Man is a funny, entertaining origin story for Scott Lang, and it’s notable for being the first feature film on Earth to star a non-Avenger. This is perhaps Ant-Man’s biggest strength. The film is clearly set in the world of the Avengers, yet Ant-Man is the first film in a long while that isn’t simply moving the chains downfield with three yards and cloud of dust towards Infinity War. In fact, it’s unclear that Ant-Man needed to be told at all in order to progress to Captain America 3: Civil War. Had a guy who shrinks simply shown up and done his thing, who would have questioned that? This is the value that Ant-Man brings – a Marvel Studios story without the expectations or continuity of Avengers. So no, Ant-Man won’t change your life. It will make you smile, though, and there’s a certain comfort in that. 1) The backstory for Hank Pym and Janet worked very well, to the point that I want to see more of those Cold War Ant adventures in Agent Carter. Given that Marvel is tossing old-makeup Hayley Atwell into every film it can, how’s about we jump ahead to her John Slattery SHIELD days (who remembered Slattery was the “middle aged” version of Stark?) and mix in some cold war Ants? 3) I have to wonder what Edgar Wright’s vision for this film included that Marvel Studios wouldn’t allow. I also can’t imagine that I wouldn’t have enjoyed Ant-Man more if it had developed more quirks, so it feels like a mild let-down simply not knowing what might have been. 4) It both makes me smile and feel a bit disappointed that my January review of Ant-man – sight unseen – rings largely true. I overestimated how indebted this film would be to Ultron and Avengers 2, but other than that, I could repost that review now and feel like it accurately describes many of my movie takeaways. 5) Maybe I should watch it again, but that Winter Soldier end credits scene… was the set-up for Ant-Man really that Bucky got his arm stuck? I’m all for an Ant-Man anatomy investigation (a la Vision in the Avengers or more recently in Waid’s Daredevil), but an Ant-Man Chinese finger trap? 6) Here’s the bigger Cap 3 question – we’re heading for Civil War, and we’ve sown some seeds of discord between Tony and Steve, but in the comics Superhuman Registration is the impetus of Civil War. The freedom to avoid registration is a big deal because superheroes have secret identities, and divulging those identities would be extremely dangerous for their families, associates, etc. Except… this is a total non-issue in the Marvel Cinematic Universe. Even in Ant-Man, a film that could have been primed towards secret identity, the story blows right past any attempts by Scott Lang to conceal his identity. He shows his face to everyone he knows, and his family – and his ex-wife’s fiancé / police officer – have a giant Ant they’re keeping as a pet. Now, you could still have the same debate in philosophical terms – or probably more purely as a genetic debate involving Inhumans – but secret identities have been null and void in the MCU since Robert Downey Jr. dropped the mic at the end of Iron Man 1. 7) Evangeline Lilly is a damn fine choice for the Wasp. She looks like Janet Van Dyne, and brings a different characterization to the table, one that wouldn’t feel out of place leading the Avengers one day. 8) I like Corey Stoll, and I enjoyed his performance as Darren Cross, but Marvel has completely exhausted the “He’s like the hero, but evil!” stockade. In fact, it was exhausted as far back as Jeff Bridges having Tony Stark dead to rights with a full armor weaponry firing, and pulled a Rick Ankiel with bullets. Marvel has to solve their villain problem at some point, right? 9) The police identify Hank Pym is pretending to be Scott Lang’s lawyer, but then only confront Pym after staking out the private industrial presentation Pym is scheduled to attend. Instead of, you know, going to his home. The one that just got a visit from the police days earlier. I’m willing to forgive some logic in these things, but Goodness T. Gracious. 10) In the same vein of giant gaffes, Yellow Jacket’s business presentation was one of the dumbest things I’ve ever seen in the MCU. It’s one thing for Iron Man to start out as an actual arms manufacturer and to show the devastating potential of his weapons, it’s quite another for a technology company to create an informational video in which a tiny man jumps through a corporate leader’s chest. Now, if this had clearly been a presentation to representatives of Hydra, A.I.M. (what are they doing? ), and the Hand (hey, why not? ), I would have been on board. Instead it was to business reps (some of whom happened to be Hydra), with los dos Pyms just standing there like this is an annual quarterly business report. 12) Baron Von Strucker should remain pleased that 1) Hydra is apparently still fully functioning, what with the heads and all and 2) That his “There is No Mandarin” award for character most thoroughly wasted in service of the plot remains in tact for 2015. Although we should probably take a moment here to pour one out for Janet Van Dyne, may she rest in perpetual shrinking hell (wait, no, that’s horrible!). 13) Anybody else still entirely unclear if Scott Lang was supposed to find an infinity stone while sinking into quantum nothingness? I think ultimately he just macgyvered his regulator with a growing ninja star, but all that “Time and Space” trippiness sure suggested some infinity connection. 14) Mr. Robot (new show on USA that you should 100% check out) uses “dumb Marvel movies” as a kind of shorthand for mass produced, corporate inauthenticity, the cinematic equivalent of Starbucks, Facebook, and McDonalds. I think Ant-Man has a lot more heart than that, but it does also have that unshakeable assembly-line smell. It’s understandable why Marvel does this (the answer rhymes with $$$), but man, I can’t help but wish more of these oddball solo movies took their cues from Guardians and Daredevil and let singular vision and artistic expression reign supreme. And by that, I mean please let Dr. Strange be weird! 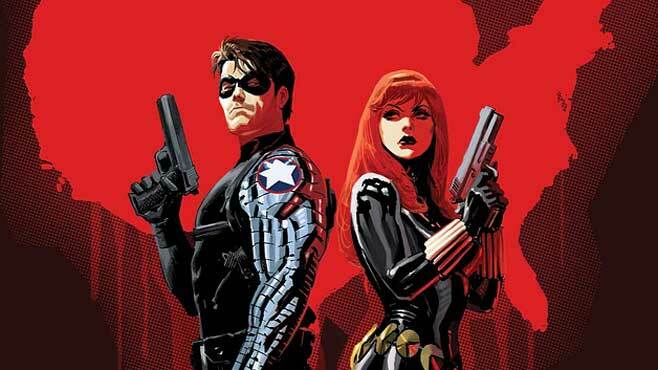 15) Finally: I talked in my Avengers 2 review about the end of Marvel’s incredible hot streak. Ant-Man doesn’t do enough to change that, meaning they’ll go the entirety of 2015 without a knockout, after batting nearly 1.000 from 2012 to 2015 (Thor: The Dark World remaining the perpetual asterisk in that run). To my mind, this puts even more pressure on Civil War, which is already boldly challenging the Spider-Man 3 convention rules for too many darn characters in the film. What do you think? Did Ant-Man meet your expectations? Was it a letdown? Where does this movie rank in the MCU for you? Do what feels right to you in the comments. No, Ant-Man won’t change your life. It will make you smile, though, and there’s a certain comfort in that. The only major addition I have to your review is this: Marvel has a long way to go for female characters. I loved Paul Rudd in this movie, but I just kept thinking 1.that Hope should have been the main character and 2. can we please have ONE MCU main female character who isn’t just a love interest for a main male character? We have Black Widow (sort of) but after the last Avengers, not even her, really. Also, I got about four episodes into Daredevil and just sort of…wandered off. I didn’t hate it, but it also didn’t grip me. I don’t know if part of that has to do with the fact that I have a stressful job in law/law enforcement so this just wasn’t the kind of escapism I was into. Does it get more gripping? Did you have the same problem, or is this maybe just a personal taste thing? I think that’s a pretty fair point. The Hope kiss at the end felt real forced. You see it coming, and it’s immensely Hollywood, but that doesn’t really add anything to the story for me. I did appreciate that Hope was pretty clearly the most competent hero in the film, and think she’ll be a solid Wasp. Here’s to hoping for better characterization for her in the coming MCU. You know, you’re not the first person who I’ve heard that from about Daredevil. Which completely baffles me 🙂 I couldn’t get enough of that first season. But still, it’s a commitment. I have a hard time really saying if it’s get better as it goes (I loved it from the start), but the supporting cast definitely gets better established as the series progresses (particularly true for Karen, Foggy, and Kingpin). The story commits more to the big picture as it moves too. But it does not get brighter – this is definitely Frank Miller’s Daredevil, and not the more fun-loving Waid version. I’m not sure if this was intentional (it’s an awful film), but Thor: The Dark World is not on your power ranking list. I mostly agree with your rankings, but I have two completely unrelated points to make. 2) There is literally no way that Thor can be ranked higher than The First Avenger. Here is my argument against it: Thor and The First Avenger have essentially the exact same job to do, which is to distill and communicate the core essence of the titular character. From a filming perspective, they both have merits and they both have flaws, but they’re roughly equal. But on a character level, The First Avengers is vastly superior. The First Avenger not only introduces us to Steve Rogers, but over the course of the movie sells us on the idea that this individual is unique and the only viable candidate for the Super Soldier serum, not only of the candidates in the film, but of all the Marvel characters we’ve been introduced to. One of the major points in the film is to contrast Steve with the Red Skull. Erskine underscores the idea that the serum will exacerbate any latent psychological and personality issues in whoever undergoes the treatment – this is where the Red Skulls excessive character comes from. Now can you imagine Tony or Bruce or Natasha going through this process? No, Steve is unique and his subsequent movies have shown how important this movie was in setting him up. I thought the movie was average when it came out, but subsequent viewings have sold me that this film achieved everything it set out to achieve perfectly. Thor on the other hand is meant to tackle (tries even to some extent) the question of what exactly it is that makes Thor “Worthy”. And at this it completely fails. The film handles Thor’s arrogance and his banishment well, but the “sacrifice” he makes is very literally one that we have seen Steve, Tony, Bruce, Clint and Natasha make in other films – so there is no real sense of where this worthiness comes from, we’re meant to accept it. Being the central point of the movie, this makes everything else about the film pretty pointless, sure it’s well-acted and entertaining, but Thor’s flaws are not that too much of it was set on Earth, but rather that it completely fails to get to the root of its central character. It is this that gives people the license to try and pick apart what didn’t work. There is no doubt in my mind that other people viewed these films differently, but for me The First Avenger is streets ahead of Thor. Give me a film that focuses in on character and executes over a mildly entertaining action any day. This last point is one of the reasons I think Ant Man is better than Age of Ultron as well. Did I leave Ant-Man with an understanding of Scott Lang, Hope van Dyne and Hank Pym? Absolutely. Well reasoned points! The Thor: The Dark World is just an oversight, although it would fall right in Incredible Hulk territory, probably a slot above Agent Carter. Well, Marvel Studios needs to solve the villain problem. Someone should tell them that there are more villains beyond the heroes in evil. I would say that the defenders series have well built villains (The waiting for Purple Man is killing me), but let’s be honest. The center of marvel is in the films, not in the series, it’s the thing people watch the most. Hopefully, I think Thanos will be the best villain E-V-E-R in the movies, and he will make us forget about the mediocre villains. And maybe he will be a REAL mad villain, unlike Darren Cross (What kind of mad is that? Geez). HAIL THANOS! Also, what is the Spider-Man 3 convention? I know it is a decay respect the other movies , but nothing more. I loved Ant-Man, however, I have to, begrudgingly, agree that Ant-Man was cookie cutter. I really dug the heist elements of the film. It was a fresh take on the Marvel MCU. I wonder if those same emlements where intentionally standard in an attempt to ensure the audience didn’t get confused by these divergent themes. Or it could just be the suits have little faith in the intelligence of the audience to understand that this is a different type of Marvel movie. I think that was the biggest issue. They were just afraid to try something new. But this was a mistake implemented long before the success of Guardians and Daredevil. I think if Marvel was to do things over again they would have kept Edgar Wright and allowed the film to be more unique. That’s a really great point. Certain characters certainly have relatable aspects, but nobody quite embodies the “This Hero could be your life!” ethos of Scott Lang. It will be interesting if they can maintain this as Lang gets caught up in the realm of Avengers and Civil Wars. Cassie was adorable, so hopefully more of that! WTF Ironman 3 is even on the list?? Iron Man 3 was a really good movie.